if Iloilo has Guimaras island, Davao with Samal island, Zamboanga with Sta Cruz island, Cebu with Mactan island, Tagbilaran with Panglao island. Isabela City's main coast is enclosed from the open sea by Malamawi island. 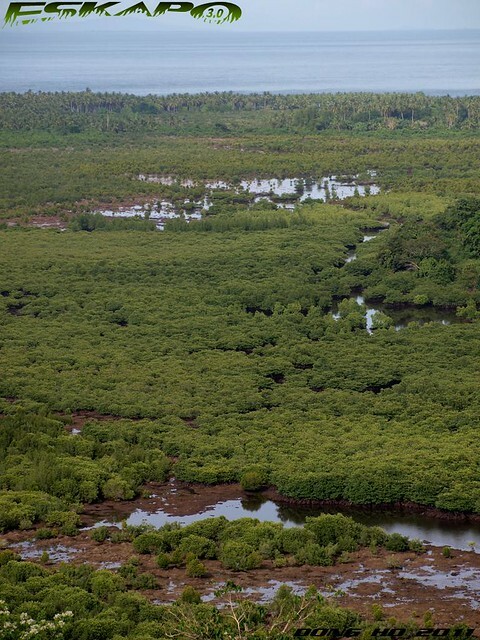 most people think that it's just one island but if one sees it from Google Earth, it shows another enclosed island within the mangrove swamp on its Northern coast. this is the island of Marang-Marang. 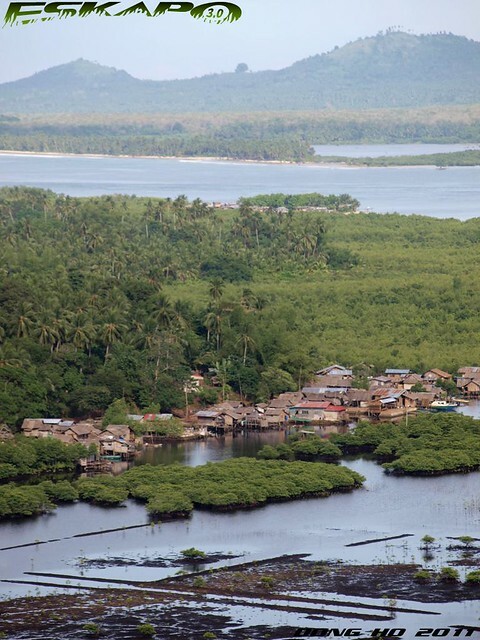 connected to the main island of Malamawi through the vast areas of mangroves. 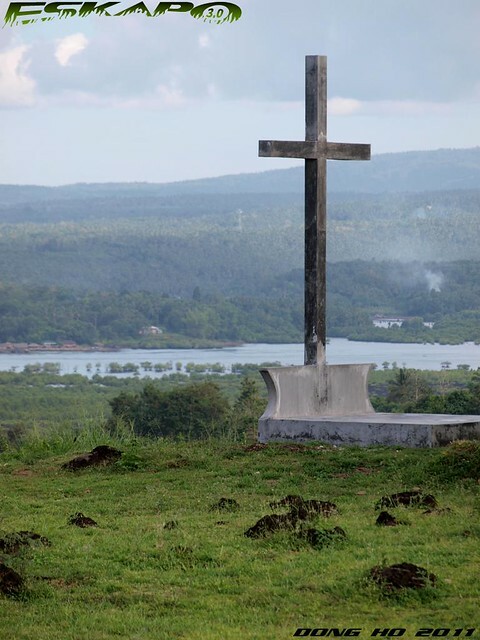 just recently, a view point on the island's peak was opened to the public with a great view of the island of Marang-Marang and the main island of Basilan separated by the Basilan Strait. 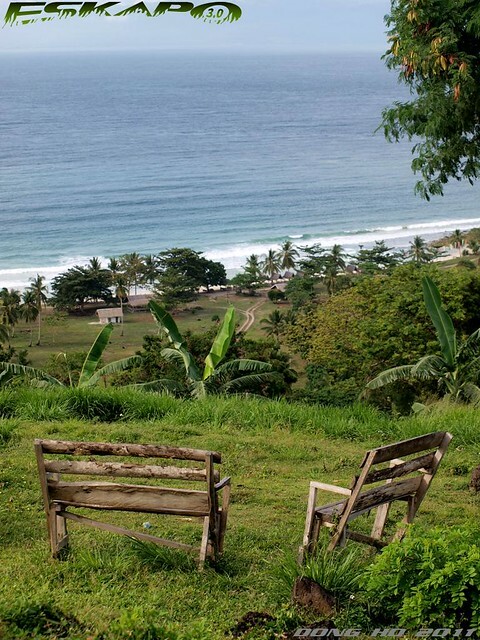 on its West side, it gives the view of Malamawi's White Beach. one can reach this peak by taking a jeep to the top. one can actually cross these two islands by boat through the swamps during high tide and can walk over muddy soil during low tide. a small community hidden between Malamawi and Marang-Marang can only be seen from this peak. 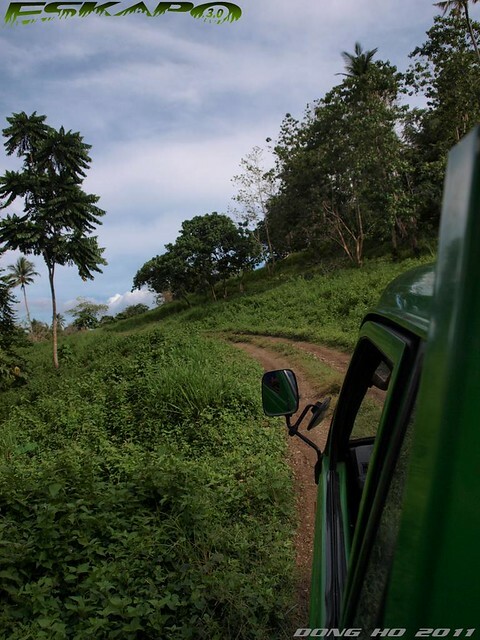 these shrubs extends to the Basilan strait protecting the main coastline of Isabela from big waves coming from Sulu sea. 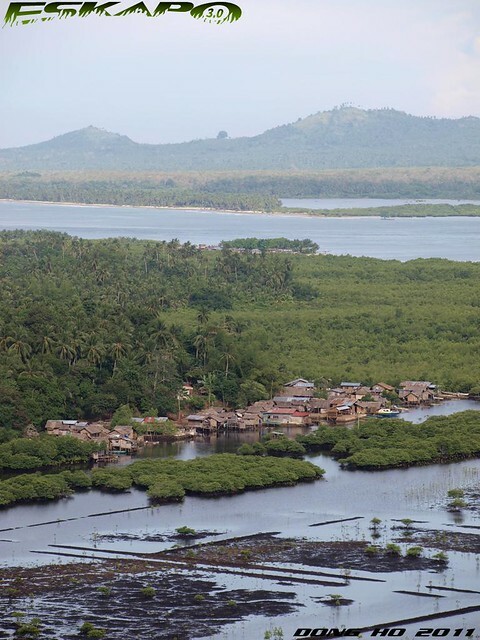 thus a large area of stilt houses are found within the Basilan Strait. 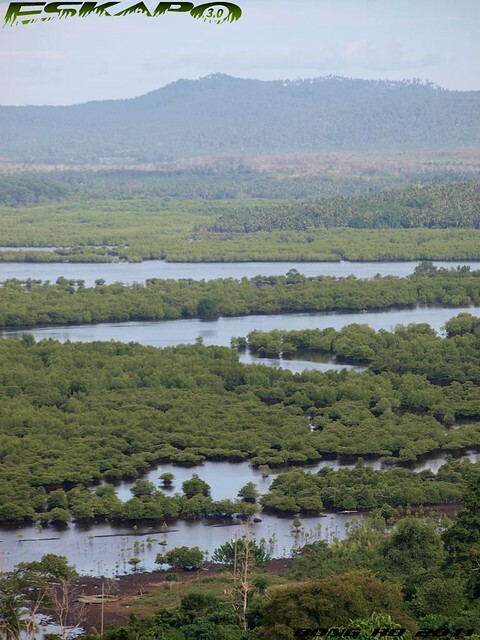 only when i was in high school when i started to explore these mangrove swamps by boat. option 1: take a boat trip from Isabela city's boat dock site for Malamawi bound trips. it is just a short walk away from the main dock site of ferries coming from Zamboanga. Isabela dock site to Malamawi pier (10minutes or less). from the pier, if you've arranged in advance for a pick-up, they will pick you up from here for an hour or less trip to White beach. one can then arrange a ride to the peak for the view. A very interesting landscape, dong ho! I have seen mangroves only in a museum. The place from the first photo is very inviting. Such a lovely view. Pictures were so neat and invoke the viewers to visit a beautiful island like this. Again... your blog post is enticing the traveler's soul to expand! ang galing! you never fail to amaze me, kaya nga idol kita eh. i went to bed early but i couldnt sleep so i decided to check my blog and its really nice to hear from you again my friend! you really made my day. uu dom, nagpopost na uli ako. most of my posts are already saved in my draft at kusa na lang lalabas sa designated dates kasi walang pang net. its been a roller coaster ride when i came back here in baguio but still holdin on somehow. yung thrill sa pagpunta sa sablan eh yung paghagilap sa apat na falls. di naman sila ganun kalayuan sa isat isa pero challenging talaga. marami pa akong mga nadiskubreng magandang puntahan na di kalayuan dito sa baguio like sablan pero wala pang pera. siguro pag nagkawork nako. and if you're interested in going to those places in the future eh sasamahan kita. i don't know why but the pictures somehow this remind me of the amazon river. unang tingin ko Malawi. na confused tuloy ako hahahaha.good place. me white sand beach tas me mangrove forest din. friendly sa mga isda at mangingisda.hahaha. I've been to a mangrove one time and it's lovely out there. This place should be seen by many Pinoys, it's beautiful. Amazing landscapes, I enjoy them so much! this post is so perfect to calm me down, dom. those greens have really therapeutic effect; your photos are just the same, visually stunning! thank you. Visiting your corner of the world is now on my bucket list. I would love to see this place. ganda ng view ng mangrove forest parang ganito din yung nakita ko sa Anda Bohol, sana mapreserve sya. Wow.. may ganito pala sa Basilan? hi..you've got nice shots... like your blog!!! ganda ng place.. mukha naman tahimik. pero gusto ko parin pasyalan kahit may naririnig akong nakakatakot na mga kwento at pangyayari jan.